Everyone knows about Restaurant Week, but Dine In Brooklyn has come upon us yet again. 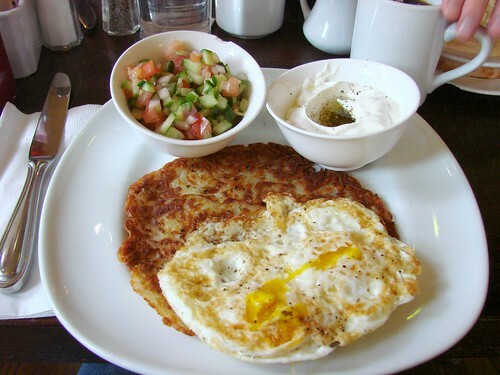 This year more than 175 restaurants are lined up to participate in the brunch, lunch, and dinner deals that start on March 15th, including some of Brownie's favorites. Yes, both Miriam and Bogota Bistro are taking on Dine In Brooklyn again with lunches going for $20.10 and dinners for $25. But if you play it really smart, you get 'two-fer' meals, yes, two meals for the price of one. Check out the pink highlighted part of the list to get the most food for your money. 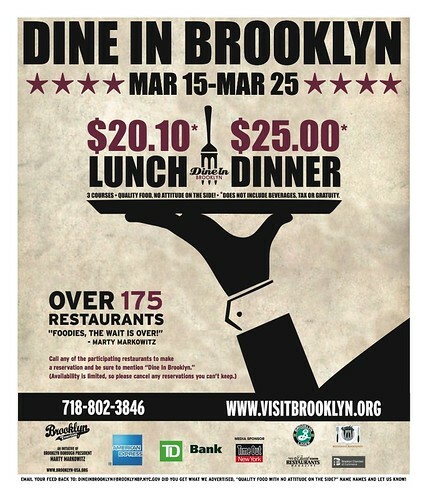 Dine In Brooklyn goes from March 15th to March 25th, click here for the list of restaurants or go to visitbrooklyn.org for more information. P.S. Brownie, you still owe me that dinner! Very good plate in pic :)!During a Brooklyn New York tours i aet in different restaurants and i thing that Bogotà Bisto in one of my prefered ! ;)!